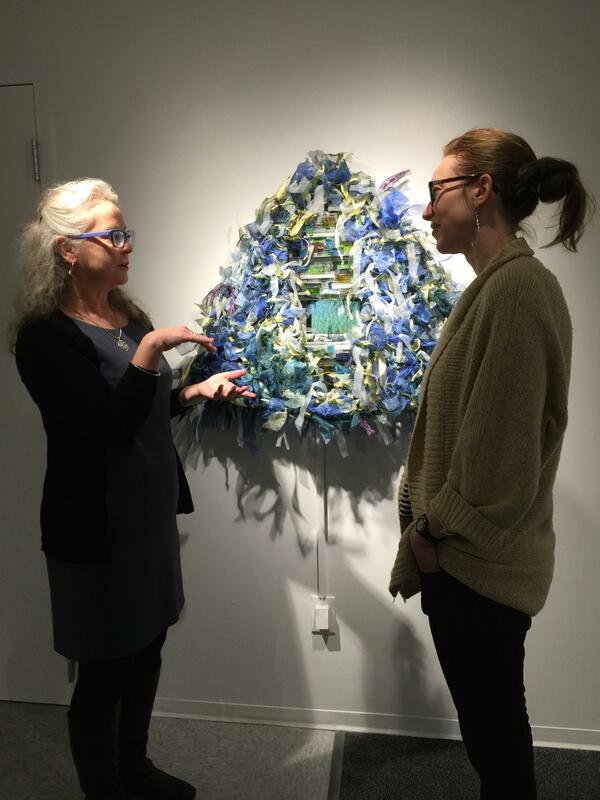 Artist Sherri Cornette talks with Northcutt Steele Gallery Director Leann Gilbertson about the Flow exhibition. An art exhibition, readings, a jazz improvisation performance are just a few of the launching points meant to inspire contemplation and a community conversation about water. During her hikes around the region, she became inspired by water. “Where I’ve taken time to sit down by the water and really take in the calming effects, thinking about, meditating about water,” she says. Cornett hopes Flow will move others to stop and contemplate all of the complexities that swirl around water. Cornett collaborated with others to encourage this contemplation and conversation. Her desire is that the events will begin to erode the labels that often frame and divide people over the issue around water. This includes water quality, access, and usage. Flow is multi-faceted. 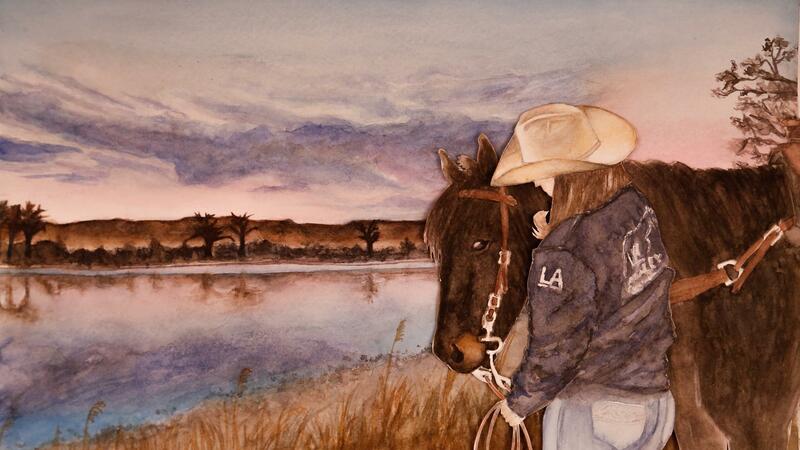 It launched at the end of January with a juried art exhibition at Montana State Billings’ Northcutt Steele Gallery. It feature’s Cornett’s sculptures and the work of artists from across the community. An image from the video playing in the Northcutt Steele gallery as part of the Flow exhibition and project. The gallery includes a video interpretation of the Yellowstone River Cultural Inventory that blends art and film of the Yellowstone River valley. It was produced by Bonny Beth Luhman and Ariel Grosfield. On Thursday, Flow features water-related readings and a live music performance. Then there’s a film screening and discussion and ends with a symposium featuring the Yellowstone River. February 11, 2016: Words on Water: Poetry and Jazz in Concert; 5-7 pm at MSUB. Free. A public reception follows. February 18, 2016: “Mixing Oil and Water” film screening and discussion: 5-7 pm at MSUB. Free. A facilitated public discussion follows. February 25, 2016: Voices of the River Symposium; 4:30-8:30 pm at MSUB. The panel discussion begins at 7:15 pm. Free. The panel will focus on the Yellowstone River Cumulative Effects Analysis.